The young pannists are not to be left out of the carnival action. 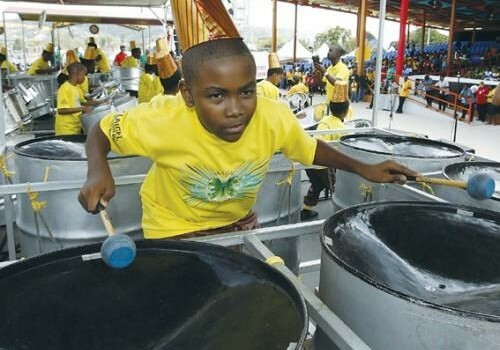 This Sunday 31st January, thirty-two (32) bands head to the Queen’s Park Savannah for the finals of the Junior Panorama Competition. Entry to the event is FREE and judging begins at 9am. The event has catered an additional “fun area” located at the western end of the North Stand with attractions for children such as bouncy castles and go karts. Admission to this area is just $60 (with a special entry fee of $30 for all members of competing bands). This year’s competition is collaboratively hosted by the Ministry of Education in collaboration with the Pan In Schools Coordinating Council and Pan Trinbago Inc.